Its seems to be growing trend in my workplace, having the ability to cut someone off mid sentence and re-direct the topic to something you want to bring up. I’m sick of being left out so I thought I’d give it a try, but I don't seem to have the 'skill' needed. I kind of take pride in giving (maybe that should be 'try to give') people respect where it is deserved, and I'm always trying to better my communication skills to make my respect evident. If I cut someone off mid conversation or laugh at their communication skills in a demeaning way I am always deeply ashamed of myself. It may take a few minutes but I always get to that conclusion if I have offended. I know I'm far from perfect and I'm know I still make mistakes, but I'm pretty sure I have a decent grasp on what is considered rude and disrespectful. Almost all of the people I work with seem to have adapted this to their daily conversation rituals. Whether it’s a conversation about what someone did on the weekend, over to a meeting with the department head you can always count on watching the skill being used in its full force. It even gets to a point where the person using the skill performs so well that the alternate person won’t even bother to continue with what they were going to say. This was my tactic at shielding myself from this skill, in the hope that the inflicting person would realise and ask me to continue after they have finished. This doesn't work. It’s really starting to kill me. A couple of good uni friends of mine would interrupt me when I interrupted them, and tell me when I was doing it. I value that, I'd rather him/her tell me so I can revert what I've done. I can't seem to do that though (not to the people at work anyway). I'm just not gutsy enough. Maybe I should be, but I'm not. So instead I thought I'd give the trendy new interruption skill a go... I don't have it. I have no idea what I'm getting wrong. I followed the directions of my esteemed colleges, which I have been educated on so many occasions. I basically got put in my place, “I was talking...” I was told. Two minutes later when I was mid sentence the SAME person cut me off. I just don't know what to do. I'm sick of being interrupted and I'm sick of seeing people being interrupted. I wish I had the guts to say "please don't interrupt me".... or at least have to ability to knock them unconscious with just a single thought! 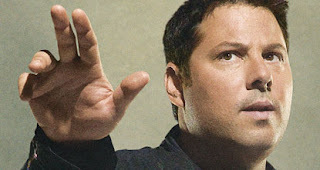 Matt Parkman can I borrow your power? You know if Matt reads this you are doomed the next time you talk to him?